Dorothy Hodgkin (1910-1994). 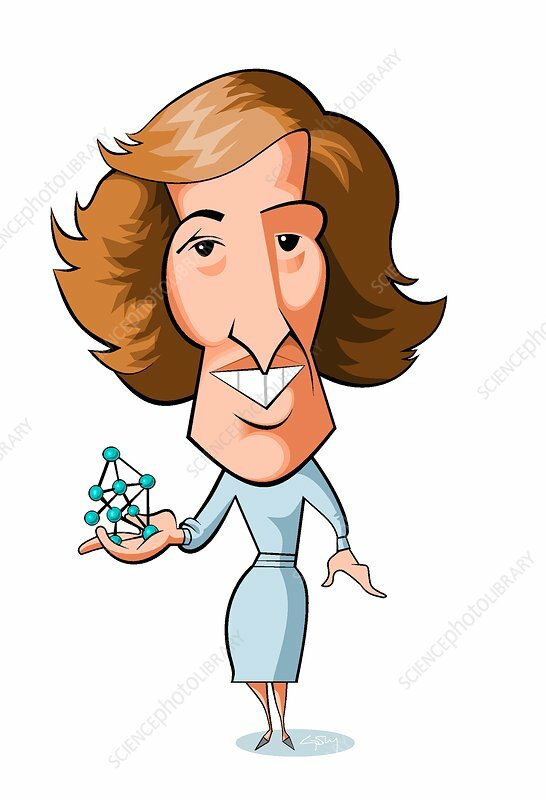 Caricature of the British chemist Dorothy Mary Hodgkin. Hodgkin pioneered the use of X-ray diffraction for determining the structure of biomolecules. She used this method to discover the structure of penicillin in 1945, and that of vitamin B12 in 1956, for which she was awarded the Nobel Prize in Chemistry in 1964. In 1972 she described the structure of insulin, a project started in the 1930s. In 1965, she was made a member of the Order of Merit.